I went to see Pride and Prejudice and Zombies last night, as my Valentines Day treat. I expected it to be ridiculous, silly, action-y fun. The film maintains the mannerisms of Jane Austen’s characters the whole way through, adding new touches that come about with the zombie apocalypse (for example, it is now fashionable to travel to the far east in order to study martial arts; the most fashionable people go to Japan, while the less fashionable go to China – so there is some snobbery about Eliza being unable to speak Japanese). It makes friendly digs at the original text, as well as at the BBC adaptation of Pride and Prejudice (Mr Darcy dives into the lake!). However, it does not go too far in parodying the source material, and strays from making the very obvious jokes. The costume design is also fantastic. The filmmakers have put real thought into how Regency ladies might fight zombies (there’s a sentence you don’t see every day!) without simply updating their clothing – and there was surprisingly little sexing-up of the main characters. The plot can be a little confusing at times, but it all makes sense in the end. Even if it wasn’t, though, anything can be forgiven when you introduce Lena Headey as Lady Catherine de Bourgh, a famous zombie slayer. We first see her standing on a mound of corpses. If you are a fan of Pride and Prejudice, go and see it. It is brilliant, and deserves a lot of recognition. Mrs Dalloway is an odd book for me; it’s a sort of novel that I think one ought to read (and I think this rarely about books), rather than a novel one might enjoy. On the other hand, I really like it, but I can’t exactly say why. The actual plot of Mrs Dalloway is one that is largely focused on Clarissa’s domestic matters: she is organising a party. At the same time, Woolf tells the story of Septimus Warren Smith, an ex-soldier suffering from PTSD. The novel rests on the inner workings of the characters we meet, their thoughts and memories, and the things that they generally are not saying to each other. 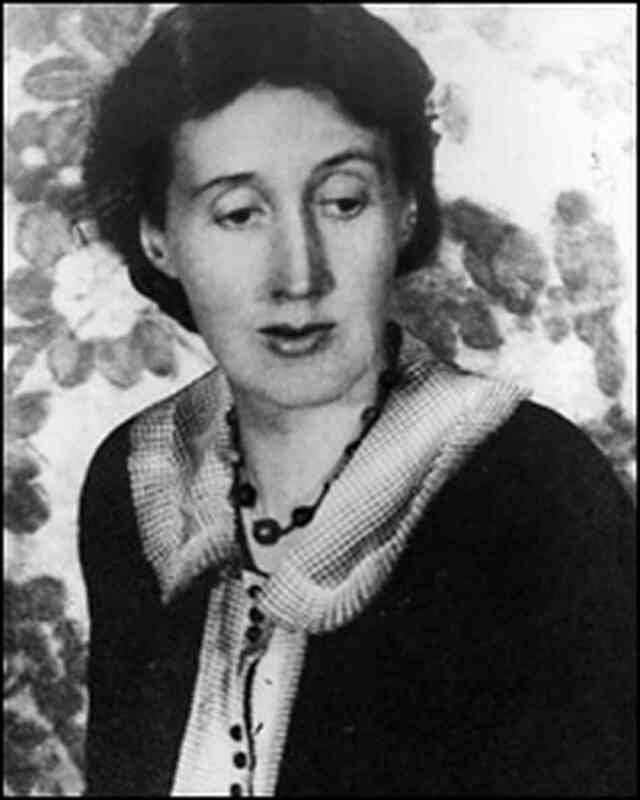 It’s odd: I feel that usually I would be depressed by a book like Mrs Dalloway, with Septimus’s plot about mental illness and Clarrisa’s thoughts being largely about the various disappointments, little and big, that life holds. There is something about the book, though, that, through showing the internal loneliness of others, makes me feel somewhat less isolated. Mrs Dalloway is a beautifully written book, and the reason I think everyone should read it is simply because the style is so interesting, and the scenes she describes are so vibrant and realistic (from the point of view of the characters witnessing said scenes) that it provides an entirely different outlook on what literature can be, and can be used for. It is also interesting in that it addresses issues of mental health and some queer issues, although I should add as a small warning that it might be triggering for people with PTSD and similar mental health problems. It is a short book, one that might be read in a few afternoons, and I believe that it is definitely worth that time. Let’s be honest here – I’ve already recommended the previous two books, so I was always going to recommend this one. You might as well read to the end of the trilogy, after all. This was, sadly, the book that I got the most bored by. 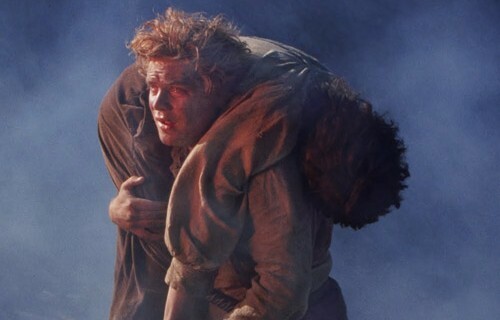 Partly because I think the films correlated the most closely to the first half of the book, so there wasn’t that much that was new, and partly because a lot of the plot is Samwise and Frodo walking. Then they get tired. But still they walk. I do so love their friendship, though. Eventually (spoilers!) they make it, and throw the Ring of Power into the fires of Mount Doom. But this is not nearly the end! There is an interesting bit back at the Houses of Healing, where the injured, including Eowyn and Faramir still believe the end is nigh. And then… the Shire happens. 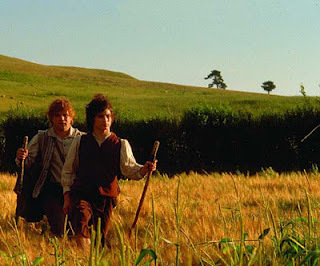 This is just so different to everything in the film, which suggests that the Shire is totally untouched by the wars, and it works as a place of refuge for the weary travellers. No, instead our Hobbit friends return to the Shire to find it being ruled over by Men, who ensure the Hobbits are downtrodden by a list of Rules that favour the Men over the Hobbits. They have a mysterious leader called ‘Sharkey’ and have completely ruined the environment of the Shire, digging up the trees and creating a mill purely for the purposes of pollution. I think I can only say, once again, that if you enjoyed The Lord of the Rings films it is definitely worth reading the books. 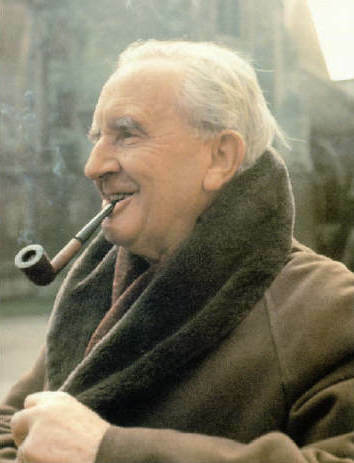 While some moments can drag a little, and it might end up getting you addicted to smoking (my word, Tolkein makes pipe weed sound appealing!) there is a different tone to the books, as well as additional storylines and moments of interest, that make the entire trilogy well worth your time. Seriously, the man loved to smoke. One of the major themes of The Lord of The Rings trilogy that I think was missed out a bit in the films is the environment and its changes. This can be seen the most in the second book of the trilogy, The Two Towers. Why? Because it’s the book where we meet the Ents. Reading about the Ents though, that was a different matter. I love them. For one thing, Merry and Pippin go on a walk in the woods with a young Ent instead of having to listen to the conversation, and also their minds are pretty much made up as soon as the hobbits ask for their help. The Ents have been thinking about taking action for quite some time now. There’s a really beautiful moment with one young Ent, Bregalad, who has been described as being pretty cheerful and good company, reflects on the loss of the rowan trees he’s been caring for. 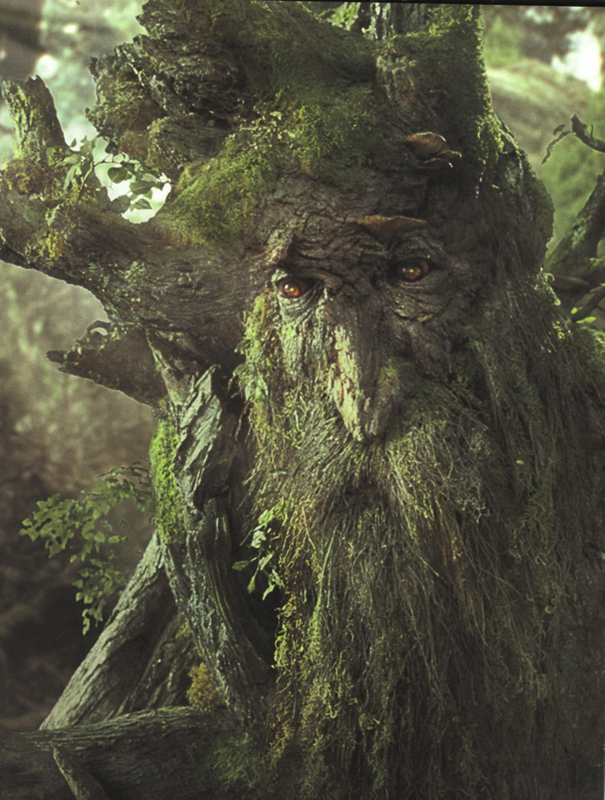 In addition, the Ents have learned that they need to be more proactive, after they managed to lose all the Entwives. Apart from the Ents, so much of this book has the characters reflecting on the devastation of the natural world that has been caused by Sauron and his allies. 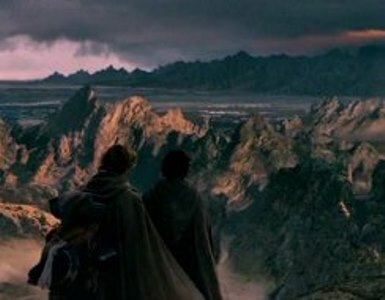 While this is definitely shown in the film, I got the impression that Mordor and it’s surroundings had always looked like that. The book says explicitly that the land used to be beautiful and is now hideous. So, once again, I think there is good reason for reading the book even when you’ve seen the film. There may be things you have missed!